Irish Reggae & Ska : Recorded work (1960s-1980s) | Come Here To Me! While Ireland’s first reggae band was without doubt Zebra (1979-80), a number of pop and rock bands recorded songs with ska and reggae influences in the 1960s, 1970s and 1980s. Some were absolutely awful, others mediocre, while a handful were just about listenable. This is an attempt to compile an accurate list of those records. 1969 was the year of the skinhead reggae explosion in England. Desmond Dekker & The Aces’s single ‘Israelites‘ reached the UK No. 1 spot in April. Other significant singles released that year included ‘Monkey Man‘ by Toots & The Maytals and Symarip’s ‘Skinhead Moonstomp‘ which was aimed specifically at the British reggae-loving skinhead audience. Can I get to Skaville? In Dublin in the early 1970s, as revealed by Garry O’Neill in his book Where Were You?, skinheads danced to reggae in clubs called Bartons and Mothers, both on Parnell Street, and Two Ages on Burgh Quay. The scene also opened its own short-lived club, the Boot Inn, in a basement on Middle Abbey Street. Reggae has never been a particularly popular form of music in Ireland, but the Macroom audience response suggests that the Cimarons will be back here soon. Eamonn over at Irishrock.org describes that Belfast-band Dirtywork (pre-Katmandu) released a “reggae version” of the ‘Rose of Tralee’ in 1976. You’ll have to make up your own mind about that. The Bogey Boys, pub-rock band from Dublin/Meath, released their debut album ‘Friday Night’ in October 1979. One song ‘Gunslinger’ was vaguely reggae-influenced. 1979 also saw the release of Ireland’s first real single. ‘Repression’ by Zebra which was brought out by Terri Hooley’s Belfast-based ‘Good Vibrations‘ label. Con O’Leary ran the reggae Operator Sound System from 1979-83, playing venues like the TV Club and McGonagles. If you have anymore information, please get in touch. 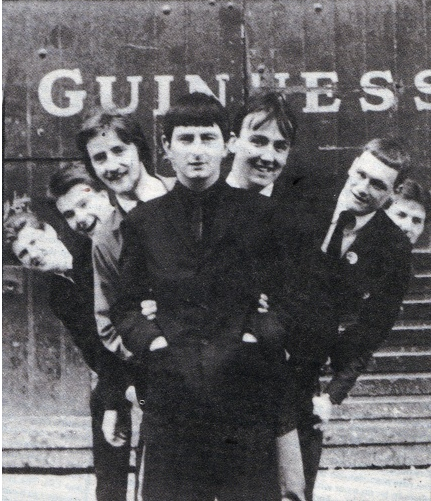 A genuine Dublin-based Two-Tone band ‘The Mod-Ls‘ were on the go from 1979-80 but never recorded anything. Same with the Fast Skirts (1980-81), who played straight punk and straight reggae, whose personnel included two former Mod-L’s members. The first incarnation (c.1980) of Dun Laoghaire group ‘Nine Out Of Ten Cats‘ was heavily reggae/funk influenced and they supported many visiting reggae acts to Dublin including Matumbi and Prince Far I. Their recorded material (1983 onwards) however was all post-punk. In 1980, Dublin band The Resistors released a catchy new-wave Two-Tone influenced single called ‘Jeanie’ on their debut EP. The album version (below) is over a minute and a half longer than the single itself. Bob Marley played Dalymount Park, Dublin in July 1980, bringing reggae to the Irish masses. Irish showband The Magic Band (1974-81) from Galway released ‘I Am A Cannibal’ in 1981 which was described by Neil from rockroots.wordpress.com as a “pretty decent and annoyingly catchy reggae-pop tune with some nice musicianship”. The same year Irish showband Sunshine released the single ‘Double Dealin, described by Eamonn at Irishrock.org as “pop with reggae/ska overtones”. Also in 1981, Rascal released ‘Scrambled Reggae’ on EMI Records. Described as a “one off ska/2tone novelty single”, there is some audio available here but I haven’t heard the full version. Galway pop group The Conquerors brought out a reggae-influenced b-side called ‘Getting Out’ in 1981. Decisions Decisions from Dublin brought out their one and only pop-reggae single the same year. This is the b-side. Cork’s Jimmy Crowley & The Electric Band recorded a reggae version of ‘Boys of Fair Hill’ which spent some time in the charts in 1981. The Outfit, new-wave reggae from Limerick, released the first of their two singles in 1981. A-Side ‘El Salvador’ was a topical song about the Salvadoran Civil War. The first single ‘Surprise Surprise’ by Belfast punk band Big Self was heavily reggae-influenced. This was also released in 1981. 1982 saw the formation of pop-reggae group Alien Comfort from Finglas who recorded a demo which hasn’t seen the light of day yet. They were active until 1984. Reggae-funksters Belsonic Sound from Cork started their careers in 1982 and ploughed on till 1993 releasing a string of singles from 1988 onwards. Thurles pop-rock band Tweed (1972-84) released a reggae-influenced b-side ‘Horse’s Collar’ in 1983. Street Talk from Dublin released their first single ‘1-2-3’ in 1983. It spent 10 weeks in the Irish charts. Eamon from Irishrock.org described the band as “new-wave pop-rock with reggae styling and a strong lead singer”. 1983 also saw the release of Limerick band’s The Outfit’s second single (Toytown/ A Sharp). If anyone has a MP3 of this, please drop me a mail. Comedian Jon Kenny, former bassist and lead singer with Limerick group Gimik, released a surprisingly catchy reggae version of ‘Spancil Hill’ in 1984. Though not an Irish group, Century Steel Band from Coventry recorded a reggae version of ‘The Fields of Athenry’ in 1985 which charted over here in the summer of 1986. They also toured Ireland extensively. The band recorded with Dublin group The Wilf Brothers in 1990. The Blades, new wave soul from Dublin, dabbled with a reggae sound with ‘Talk About Listening’ from their 1985 album ‘The Last Man In Europe’. Too Much For The Whiteman, from Tuam, started performing in 1985 and released three singles from 1989-90. None of which are online yet. The same year Keltic Posse formed and toured extensively until around 1994. The late 1980s/early 1990s saw a major ska and skinhead revival with Irish bands Trenchtown (estd. 1988), The Jackmans aka Frères Jackman & the International Elevators (estd. 1989), The Gangsters (estd. 1992), The Service from Cork (estd. 1993) and others like The Umbrellas and The Officials. There were also bands reggae bands ‘Kingsativa’ (1995 – 2005), ‘New Roots’, ‘Zero’, ‘Burning Illusion’ around this time as well but for most of them, there’s little or no information available online. We look further into the above bands in part two of the piece. If I’ve missed anyone, please get in touch. What a brilliant post! Century Steel Band were so good live. Charlie the base player from The Selector, brought his dreadlocks Ireland for the duration and I see he is returning to Westport this summer. Charlie hasn’t played with the Selecter since 1980 so I’m afraid you won’t be seeing him in Westport ! Fascinating stuff. Definitely one of the most unique versions of “Fields of Athenry” I’ve ever heard. Some horrible tunes mentioned above. Anyway Sam, Con O Leary was only a sidekick/helper to “The Operator” who was a guy called Liam Murray. The Operator were the first sound system built in Dublin. As you know I have been researching sound in Dublin and all will be revealed when I get around to it. The Operator also had a radio show on Radio Dublin but was not the first reggae DJ as that honour goes to Terri Hooley who had a radio show that went out of Dundalk as far as I remember. Here’s a more recent collaboration, Ghetto Priest and RíRá – very tasty. Hi Sam..Really good article and I notice you posted something from the conquerors.. here’s another for your list..a Tuam Band called ‘Too much for the Whiteman’. After enjoying the squatter lifestyle in London, many returned to Tuam where a series of Bands were formed. Mostly influenced by punk and reggae. They released some great stuff and were a firm favorite of the great Larry Gogan..They also did support tours with the Waterboys, New Order and Something Happens!! I will post up a rehearsal of reunion from a few years ago, its really rough and doesn’t do the original the credit it deserves.. I don’t see Zebra’s track from Just For Kicks, the 1979 Hot Press Irish rock sampler, on youtube so i’ve just added it. thanks for that as was always wondering about them.would be great if that demo saw the light of day.BLACK REVOLVER were also apparantly an awesome oi band,from TUAM. I have copies of the original demos but the quality is crap. I recently sent them to Pat James the DJ from that era who played McGonagles and now has a Sunday night show on Radio Nova. I could send them to you if you interested. Never heard any more from Dynamo. They sold the van and went to England. All the details I have are on irishrock.org and the Mod-ls Facebook pages. I can send you mp3 copies of the Mod-ls demos. that would be great ta.Wasnt into the mod scene but remember the commotions,the fontaines,and the mod l’s alright and would appreciate the recordings. Hi Paul, any chance you fire me those mp3s too please? Must check out Pat James’ Nova show, shame the website only archives 2 hours out of the 3. I have put a link to the Mod-ls demos on the Mod-ls Facebook page. Greta stuff thenks a mill.wish the skinhead bands were as accessable!! 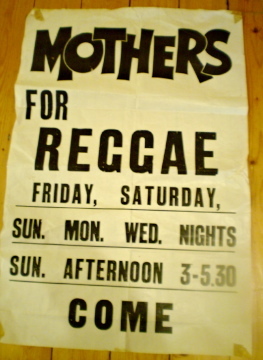 After The Outfit broke up in the early 80s the mantle of Limerick reggae was taken up by Rhythm Sector which featured some members of the disbanded Outfit. This is theur first song to be uploaded to youtube i think. sorry my speeling not intact last piece.STRANGE MOVEMENTS the bray band released “DANCING IN THE GHETTO” on good vibers,definitely had a reggae style beat to it too.check it out,on GOOD VIBES. “IRE” I am RASTA PAUL a Reggae DJ from the States and I played your selections on my show “REGGAE DOWN” to celebrate Saint Patricks’ Day this past Monday. 6pm-8pm for my show on WXOJ-LP,103.3FM—STREAMING on http://www.valleyfreeradio.org——My best to all my Irish Brothers & Sistren-Bless Up. Contact me at FaceBook-WXOJ-LPRastaPaulReggaeDown or rastapaul970@yahoo.com. Celtic Reggae Revolution and Paddyrasta are recent additions to the Irish Reggae Vibe. https://www.youtube.com/user/paddyrasta 2004 and 2013 respectfully. Hi Freddie. I was in a band called the Mod-ls who are name checked in the original article. I would be happy to help you out any way I can. Paul KIng. Freddie have you considered putting a teaser eg on YouTube, we would certainly give it a plug..
Ok , very late to this thread, but I’ve just seen mention of Liam ‘The Operator’ who had a reggae show on Radio Dublin ( I thought it was BigD or ARD or something but my memory is so hazy). Anyway I remember him well as he used to pop in to the wonderful Exiles record shop in Dun Laoghaire where I had a part time ( dream) job in my mid teens . Lovely guy and probably the only man on town with dreads!!! I had a love of all things dub so we got on well… That would have been 81 !!! Liam still lives in Dun Laoghaire, check the list online somewhere of former Radio Dublin presenters and you will see the operators name pop up. guys check out the fantastic 2 tone pastiche ‘Save Me Im Drunk’ by Ballymena band Southbound Train from 1980. Its up on Youtube. I recall some of the last recordings by Joe Higgs, released on an album called “The Godfather of Reggae”, were recorded in Dublin, by Donal Lunny with a Hothouse Flower or two in attendance. Absolutely Love this Dublin based Reggae Band.